Apparently I was the only person in America that did not know Lazy Dog was a part of a chain mainly based in Southern California. It was compared to Cheesecake Factory by friends and I really could not wait to try it and see what all the "Lazy Dog" hype was all about. The menus, both drink and food, are jam packed with interesting choices. Take your time and make your choices wisely! 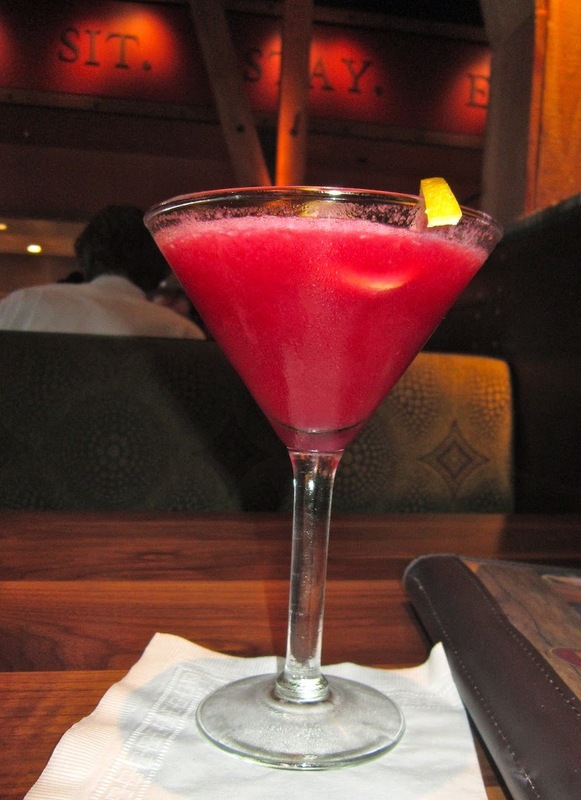 The suggestion of my server was the "Day At The Spa" Martini - Acai Veev Liquor , pomegranate juice, cranberry juice, raspberries and organic sweet and sour mix. The drink was absolutely delicious and totally dangerous at the same time. It tasted as if there was no alcohol in it at all! 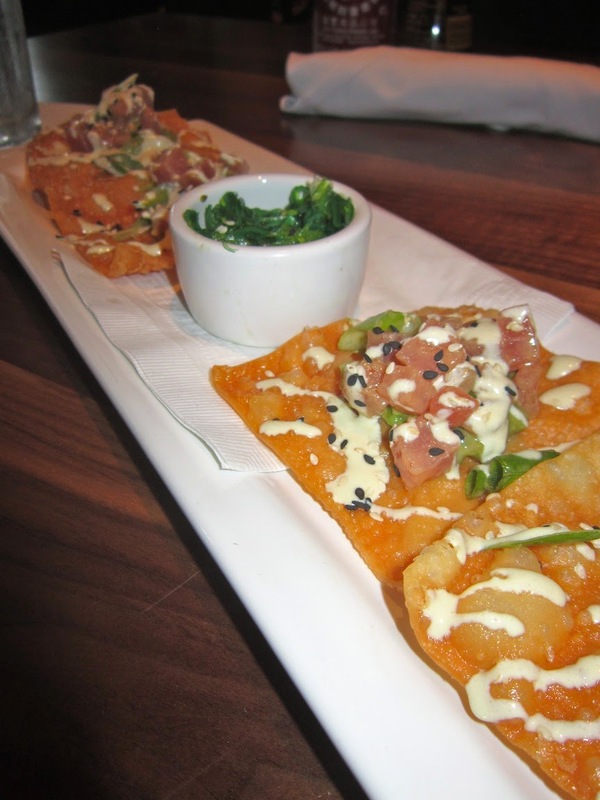 The starter that caught my eye was the Ahi Tuna Poke - Sushi grade tuna in a sesame peanut dressing with green onions on a crispy wonton topped with avocado, wasabi dressing and sesame seeds. It was phenomenal, in fact I would be tempted to possibly order an additional orders if I was lounging in the future. The seaweed salad served with the poke was ok, I treated it mostly as a garnish though really. I was told that the Chicken Poblano was the one thing not to miss on the menu so I went ahead and ordered it. Boneless chicken breast, poblano cream sauce, sweet corn and bell peppers meld together to create a warm plate of spicy food. Tamale cakes served on top create a safe haven from the spice and cool down the bites. I loved that they incorporated Tapitio crema and micro cilantro greens. If I had to make a suggestion I would encourage Lazy Dog to only use the best cuts of the breast meat, I got a few "funny" pieces - You know what I mean, like when you get one of those weird tasting McNuggets... Other than that the dish was great and such a large portion that I took half home. 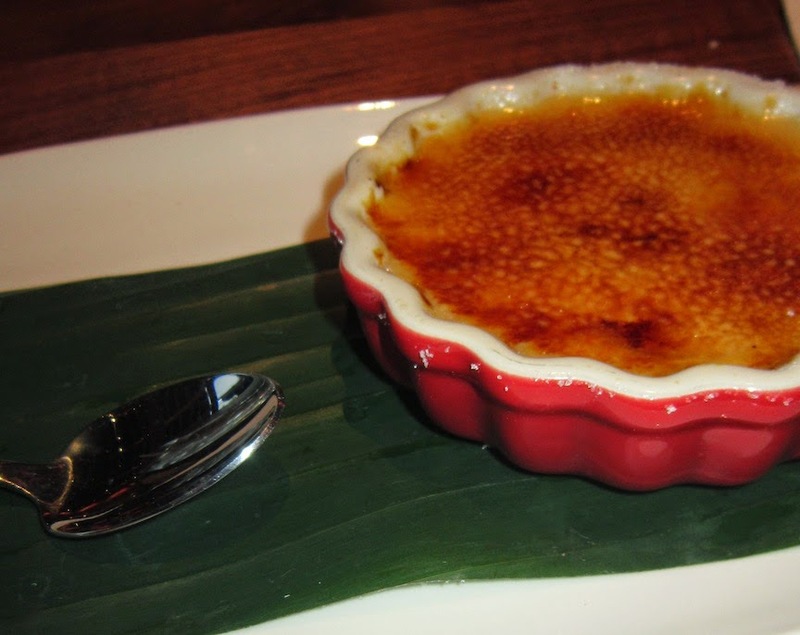 When the dessert request was asked how could I possibly tell the waitress "No" to the Salted Caramel Creme Brulee?! I devoured that bad boy as soon as it hit the table. the real vanilla bean and salted carmel made in house was totally present in the taste. I loved it. My very first visit to Lazy Dog Restaurant was a successful one. I learned that the owners of Lazy Dog are relatives to the creator of Mimi's Cafe, now that is a successful restauranting family! Also the inspiration of the decor of the restaurant was inspired by childhood trips to Jackson Hole, hence the horse art work in the lobby! I encourage you to go down to your Lazy Dog and give it a try, in fact bring your dog too and enjoy the patio! 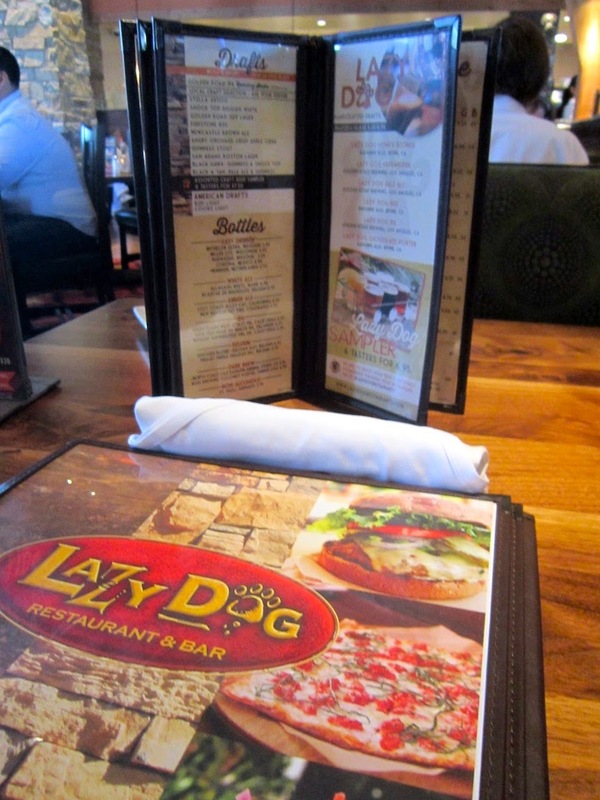 I've been to the Lazy Dog in Thousand Oaks and am excited to try the one in Oxnard. I'm supposed to try the Yard House next week so I'm hoping it's yummy. I love the Collection, especially Whole Food.